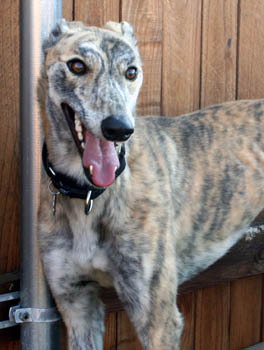 Cameo is a 2-year-old brindle female born in 2010. She is not tattooed, but her sire is Kiowa Sweet Trey and her dam is Celtic Cross. 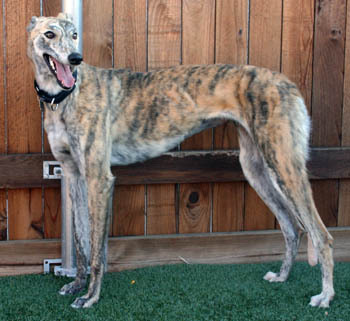 She was not individually registered and has not raced, preferring to head straight to her search for a forever home! Sweet, shy Cameo is littermate to Flower. Cameo has passed an initial cat test and has moved into a foster home with cats.